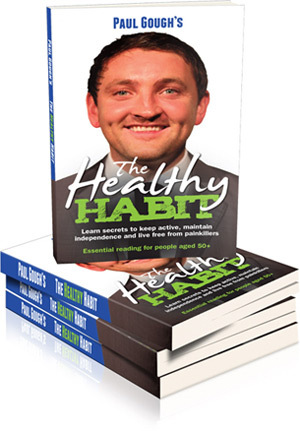 “Learn Secrets To Keep Active, Maintain Independence And Live Free From Painkillers. Publisher Price: £17.99 Limited Time Offer: Just £12.99! Yes Paul! Please Rush Me A Copy Of Your Book! THERE’S NO promise that what Paul reveals inside this book will work for you in the same way it has 1000’s of his patients. However, reading this book has to be better than spending another day “resting”, “accepting” pain, thinking, “it’s your age”, or worse yet, masking it with painkillers. If you’re aged 50 or over, pain or stiffness affects your job, your ability to keep active, threatens independence or hinders family leisure time… then it’s time to read this book. And so much more inside! PAUL GOUGH is a leading UK physiotherapist and founder of the North East’s largest independent private physio clinic “The Paul Gough Physio Rooms” (www.paulgoughphysio.com) specialising in helping people in their 50’s, 60’s, 70’s, 80’s and BEYOND, to stay active, maintain independence and live free from painkillers. 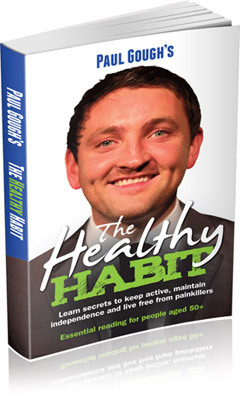 Paul is the weekly health columnist for two big newspapers, has been featured in the Guardian, is regularly heard on the BBC, is a former professional football physio and has a long track record of helping people to successfully live life less restricted by pain and stiffness.